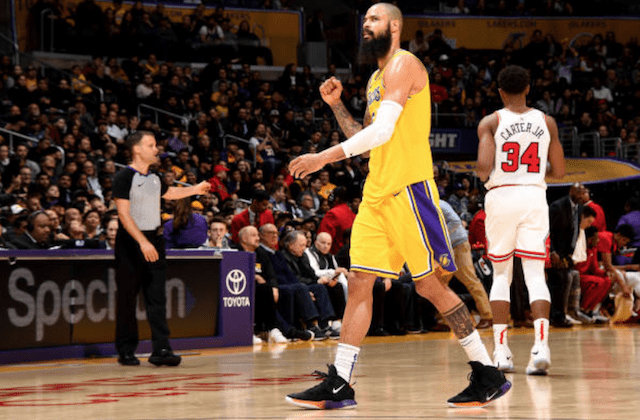 After another loss in which the Los Angeles Lakers got off to a slow start, head coach Luke Walton intimated a lineup change was coming for Tuesday’s matchup with the Chicago Bulls. That manifested in Kentavious Caldwell-Pope and Tyson Chandler replacing Josh Hart and JaVale McGee, respectively, in the starting lineup. Caldwell-Pope taking the place of Hart didn’t come as much of a surprise. The latter has been mired in a shooting slump while Caldwell-Pope has found a nice rhythm. Chandler supplanting McGee was a mild surprise — at least on the surface. 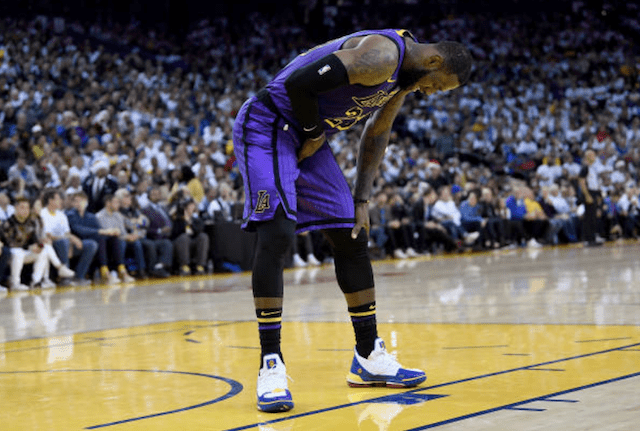 Although McGee has been integral to the Lakers becoming a top-10 defense, he struggled in in the past five games, perhaps as a result of still recovering from pneumonia. Chandler scored 8 points to go along with 3 rebounds and 2 assists in his first start for the Lakers. “Tyson really helped set the tone with it,” Walton said of Chandler impacting the defensive focus that helped the team avoid another slow start. Prior to tipoff, Walton said he was hopeful Chandler’s vocal presence would aid the young starters. That held true as an area of emphasis for the veteran center. “Just keeping them calm. Throughout this stretch, having Rondo and ‘Bron out, our floor generals, there’s been times where it’s been a little frantic,” Chandler said. “One mistake would turn into two, three, four. When one thing happened, I just tried to settle them down. ‘Alright, don’t worry about that. Think about the next play.’ I thought we did a good job of bouncing back.